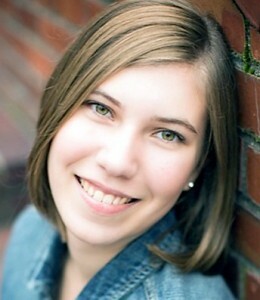 A native of Milton, Washington, Hannah Johnsrud is a sophomore at Vanderbilt University. Hannah is blending her lifelong interest in history, religion, politics, and language as she embarks on an interdisciplinary major in Middle Eastern Studies. In order to foster her relationships with the people and the issues of the Middle East, Hannah currently works with Bright Stars of Bethlehem, a non-profit that works to provide hope to the Palestinian people through cultural preservation and creative resistance. Simultaneously, she is active in exploring the manifold channels for meaningful and civil discussion surrounding hot-button issues such as religion and morality through her active participation in Vanderbilt University’s Interfaith Council. These involvements have fine-tuned her long-standing passion for social justice and equality, as well as open and critical dialogue. Hannah is also pursuing and developing her passion for music with a secondary Oboe Performance Major at Vanderbilt’s Blair School of Music. As an oboist, Hannah has appeared with the Blair School of Music’s Orchestra and Wind Ensemble, as well as various chamber groups and solo performances. She was Principal Oboist with the acclaimed Tacoma Youth Symphony and the Puget Sound Youth Wind Ensemble; in addition, she has been featured on numerous collegiate and community music concerts. Hannah has also worked to provide music education to in-need youth by establishing the Jump into Music Program of Edgewood, Washington. Service to others has been and continues to be an important part of Hannah’s life. In high school she frequently volunteered at the Edgewood Community Center and FISH Food Bank, as well as visiting ill and elderly members of her church community. Hannah continues this love of service as an active member of the Theta Mu chapter of the Alpha Phi Omega service fraternity. She also serves as Secretary for the Disability Awareness Partnership, which seeks to raise awareness of the many definitions of disability and their presence on Vanderbilt’s campus, as well as advocating for a positive change in societal viewpoints towards disability. Everybody belongs to many different “worlds”: spheres of influence and activity that define who we are as people, from family to sports, from music to religion, and from race to education. Some of these worlds are more easily seen, understood, and accepted than others. The less people there are in a world, the more quickly members of that world are placed into a box by society and the more difficult it is to express individual experiences of diversity. Oftentimes, this societal pigeonholing severely limits both our understanding of ourselves and our relationships with others. I hope to offer insight into this phenomenon by sharing my own struggle to come to terms with a world of which I unwillingly became a member: that of the disabled. In my talk, I wrestle with issues of identity and societal expectation through the lens of my personal journey with disability and my experiences on Vanderbilt’s campus. Through this journey, I challenge the necessity and even the reality of the gaps that divide us within and among ourselves.